Great location within easy walking distance to almost everything and several nearby Metro stops. A cozy home away from home, we really appreciated the kitchenette and washing machine. Staff was not on-site, but was very responsive to questions and requests. Shower was great! Exactly what you see in the photos, apartment was nice and clean. Great location, several restaurants and shops near by. 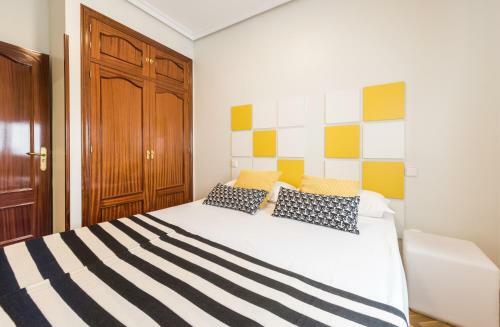 It is approx 20min walk to the train station and close to nearby attractions (botanic gardens, Gran Via, Museums). Staff were friendly and answered any queries we had. Facilitated late check out and they have facilities for storing our luggage in another partner hotel. Central,clean, accessible, everything on you doorstep! We had several issues, but our Point of Contact was great and she went out of her way to make our stay comfortable. This was a clean pleasant apartment. Very very good location. Very good location. Easy check-in and check-out. Quite room inside the building. There is a lift to get to upper floors. Clean and comfortable. Location is good. Large comfortable bed. Stafff attitude. There was a tv in kitchen lounge area and one in bedroom. Told staff that bedroom one didn’t have original language option. Within an hour they changed tvs. Also promptly brought bedside lamp. The location is great! Close to everything. The main things for cooking were there. Terrific location, friendly staff, check-in and check-out speedy processes. Lock in a great price for Madrid SmartRentals Chueca II – rated 8 by recent guests! 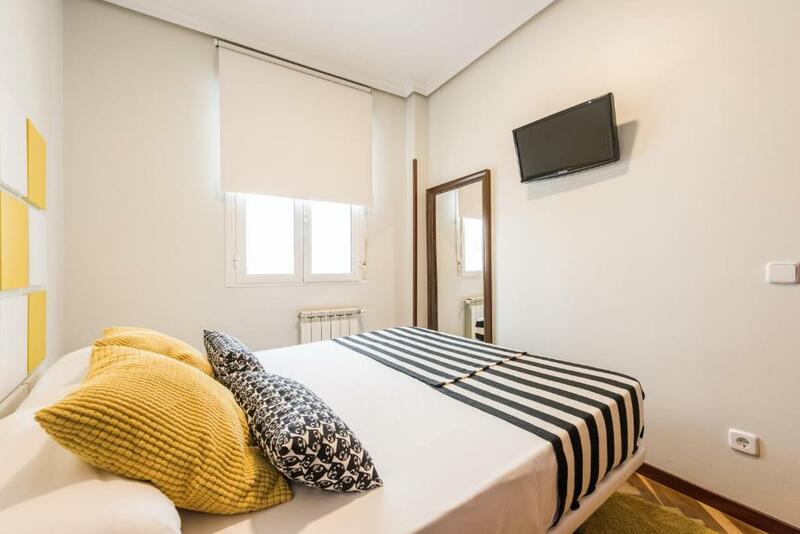 One of our top picks in Madrid.Madrid SmartRentals Chueca II is located in the Chueca neighborhood of Madrid, a 10-minute walk from Plaza España and 650 feet from Gran Via and Chueca Metro Stations. Gran Via is 1,300 feet away. All bright apartments have classic décor and include a TV, heating and air conditioning, well-equipped kitchen, and private bathroom. Each apartment comes with free WiFi. Plaza Mayor is 0.6 mi from Madrid SmartRentals Chueca II, while Puerta de Alcalá is a 10-minute walk from the property. The nearest airport is Adolfo Suarez Madrid-Barajas Airport, 8.1 mi from the property. 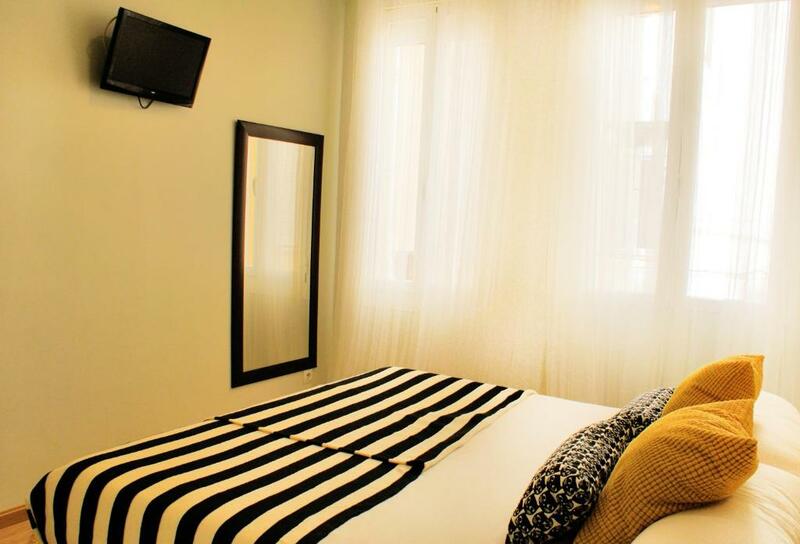 When would you like to stay at Madrid SmartRentals Chueca II? 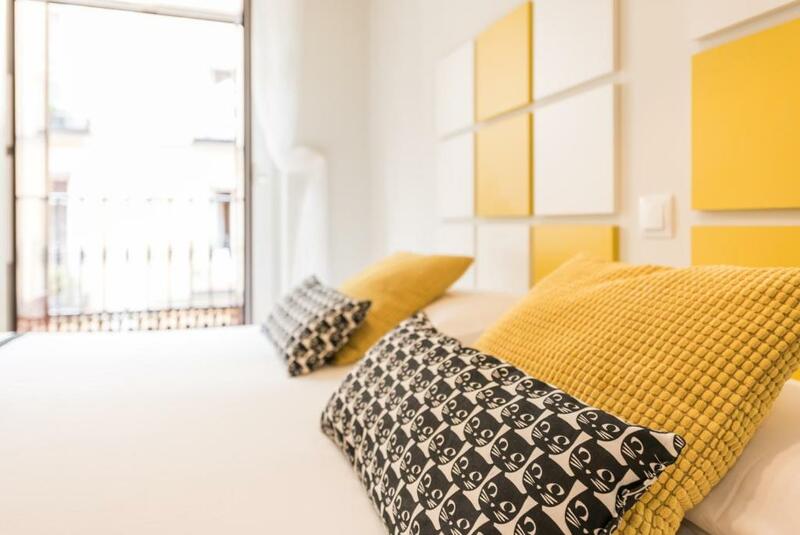 These stylish apartments are ideally located in the Madrid district of Chueca , 200 meters from the subway station. 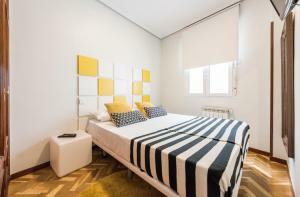 The Madrid Chueca SmartRentals II has Wi -Fi, air conditioning and provides easy access to many attractions of the city. 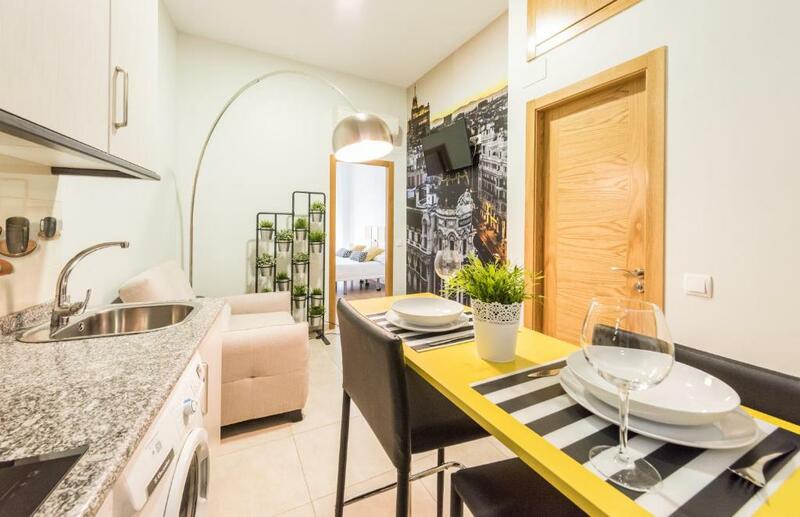 House Rules Madrid SmartRentals Chueca II takes special requests – add in the next step! Madrid SmartRentals Chueca II accepts these cards and reserves the right to temporarily hold an amount prior to arrival. air conditioning in the room.tried to switch off but it always was on.got a cold and low voice. It was not exactly like in the pictures,much smaller. Cleanliness could improve. Shower works, but runs hot then fold. Always have to adjust. No soft furnishing in kichen lounge area..2 straightback chairs. Sheets clean but stains there that no washing can get out. room layout a bit weird, open kitchen & living room is long & narrow, no couch, only dinning table and small TV so we don't spend much time in the comment area but bedrooms in good size. convenient location, close to the shopping area and metro, bar and restaurant nearby, supermarket in walking distance. The apartment we stayed in is not cozy. The dining-"living" room and the bedroom lighting is too strong, like in an office. There was no way to temper it or lower it. The living-dining room furniture was only a small round table with two shaky office chairs. Not really functional let alone nice to chill. A small couch or a bigger table and softer but sufficient lighting instead would improve a lot the atmosphere. On our way out we passed by other Smart Rentals apartments in the same building that look much better and cozy so it seems we picked the bad one. The location was ideal! Apartment was spacious. Nothing cosy about the place. Only light is spot in the ceiling. No reading light. Pictures are more positive than the experience. The kitchen + sofa space and bathroom are tiny!! Not enough cutlery for four persons. No dish soap or sponge. All in all a minimum of necesseties. very well located, good bed. The apartment did not have a view, small living room and kitchen. No cleaning products available to clean the dishes or the floor. The bed was very comfortable, however, the pillows were too hard. Staff stored our luggage when we first arrived until the apartment was ready and also after the check out until we head to the Airport. The check-in process was smooth. Excellent location, walking distance from the center and Gran Via. Lots of cafes, supermarkets and bars around. Clean, freshly renovated rooms. excellent location, cost effective, very comfortable apartment. The room was not clean: hair and dust on the floor, hair and big old stains on the bed sheets. The lamp near the table didn’t work. As it’s an apartment, not a hotel, room cleaning had to be paid extra if necessary. They don’t provide it. There was no washing liquid or anything to do the dishes. They promised to bring some, but didn’t. 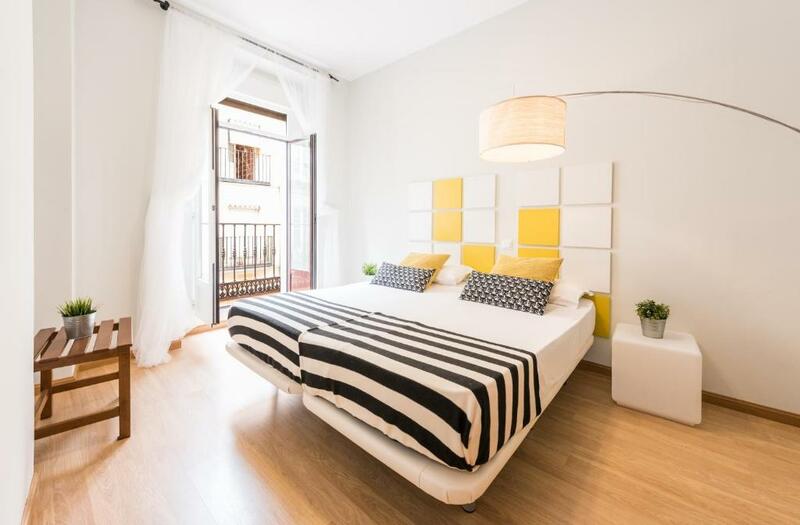 The location is very good: a walking distance from the center and Gran Vía. The are many small and big shops around, if you are up for some shopping. Food market Mercado de San Anton is close by. Metro is less then 10 min walk. The dishes were clean. There is a toaster, a fridge, a microwave, a cooker, and a hairdryer.